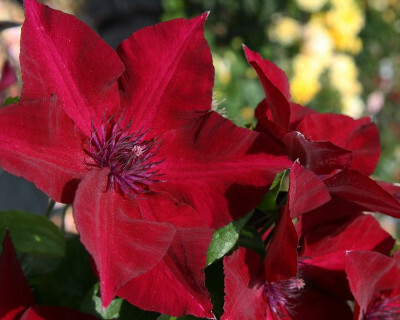 Nubia Clematis: dramatic red flowers. Large, 5 inch red flowers create a dramatic spot in the garden. Small enough for a container, she adds pizzazz to the deck or patio. Nubia and Ibi making a stunning pair.